Are you seeking greater results and fulfillment in leadership and life? Are you ready to engage in a transformational leadership learning experience? Are you seeking to develop leaders in your organization? Coaching is the heart of what we do. We tailor every coaching program to enhance leadership in ways that make a pragmatic and powerful difference. That’s because we believe there are no “one-size-fits-all” recipes for leadership success. Each leader’s goals, aspirations, strengths, values, and blind spots are unique. Grounded in a solid understanding of what it means to be an effective leader, we facilitate learning in ways that produce sustainable results. We do this by taking an integral approach to leadership development. We know that high-performance leadership at any stage of a leader’s career is possible. Transformational change is possible. We see it every day. Whether you are an emerging leader in health care or a senior C-level executive in the corporate sector, you can enhance your capacity to lead, relate, achieve, inspire, communicate, excel and thrive – even in a complex, rapidly changing, uncertain environment. Through coaching, you will gain confidential feedback, insightful distinctions, new skills, and more creative ways of seeing, thinking and engaging. Coaching is based on a mutual relationship with both the coach and client working towards the achievement of the coaching outcomes. We consider this relationship to be both a privilege and awesome responsibility. Our commitment is to bring a depth and breadth of professional expertise. 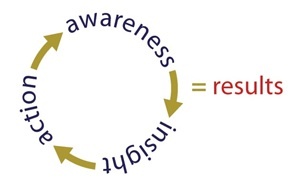 Awareness that change is an inside-out job rather than expecting a “quick fix” from the outside and ready to develop new ways of seeing, learning and engaging that will have enduring value long after our work together. Coaching is an investment, and selecting a coach is an important consideration. Our clients experience results that matter in their work and their lives outside of work. Years after completing an Insight Shift coaching program, many leaders describe a continuing ability to apply what they learned through coaching within new contexts and to apply this knowledge to meet new challenges both in and outside of work. That is our aim. research shows a 5-7x return on the initial coaching investment (read more). Health care deans and department chairs. Managers, leaders and educators from corporate, higher education, government and not-for-profit sectors. Coaching sessions are conducted both in person and via Skype. Non-local clients report a valuable coaching experience comparable to our local clients. It takes time to learn new competencies and engage new ways of seeing, thinking and acting. After coaching hundreds of high-level leaders, we find that clients benefit most from a one-year coaching program. This supports sustainable change and learning, especially for leaders in complex environments. Here is how a one year program unfolds in three phases. These assessments are considered ‘the best-in-class of leadership assessments’ and yield powerful insights into both leadership competencies and perceptions and beliefs that influence results. This phase unfolds over 4-5 sessions. Customized coaching program with a clear purpose and outcomes, selected articles and other coaching resources that support the coaching objectives. Leadership Assessments and Debrief: a 2-3 hour goal setting coaching session to debrief The Leadership Circle Profile and Emotional Intelligence Assessment. On-Site Leadership Development Intensive: for the leader with acute goals and challenges who requires a more focused and intensive approach to leadership development. We were a successful team before we worked with Colette, but with her practical tools and our important insights, we are a more fulfilled and effective team. The Emotional Intelligence presentation provided by Colette Herrick from Insight Shift at the Utah State Bar was BY FAR one of the most meaningful CLE trainings. Colette’s workshops were the best training programs we have ever experienced. We went into our two-day workshop with you as individual professionals and left as a committed, cohesive, focused team. Your evidence- and strengths-based approach, ability to get everyone engaged and energized, while keeping the content relevant to our team, was exceptional! Your work over one year, with the University of Utah Hospital and Clinics and College of Nursing produced collaboration and synergy between these two organizations and is helping to build a great future for nursing and ultimately for our patients. Colette’s effectiveness in being able to influence leadership and organizational growth is commendable. She brings a resourceful, creative and solutions-oriented approach to her work with individuals and organizations. Insight Shift helps organizations and leaders go from apathetic to energetic. Without reservation I offer my recommendation of Colette Herrick. Your very skillful and caring coaching during a significant professional transition in my life helped me to envision the future, identify my strengths and move forward to create bold changes that have paid off both personally and professionally. Thank you! Coaching has had a powerful effect on my life, my personal development, and the organization for which I am privileged to work. I am grateful for the time I spent with Colette Herrick going through the executive coaching experience.